Let your diamond shine brilliantly in this classic 14k white gold four-prong solitaire engagement ring. 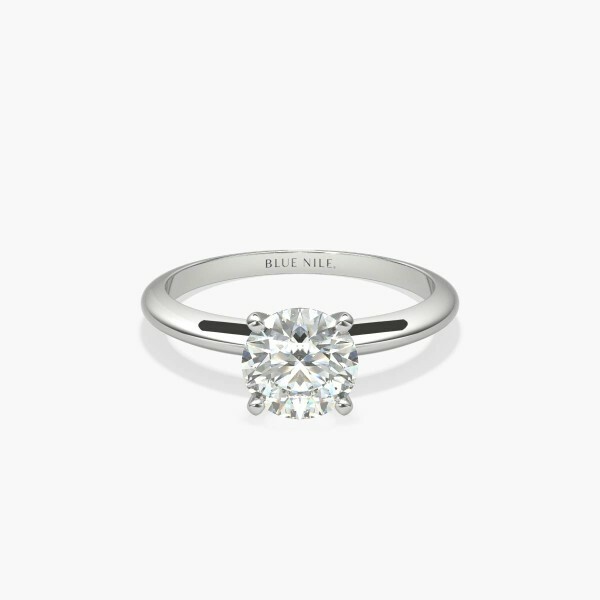 The slim silhouette and polished finish of this timeless style exemplify timeless style. Select from a variety of diamond shapes to create the perfect classic solitaire engagement ring for you.